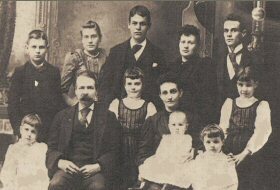 This Web site contains genealogy and historical information about our Fulton, Locke, Volkert & Stengel Families, ancestors and descendants. 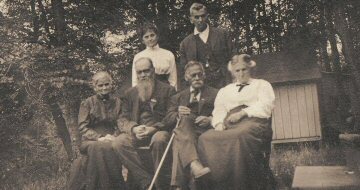 Our oldest known Fulton ancestors are Samuel W. Fulton & Eliza Howard Fulton. We are looking for Fulton surname connections back into Ireland and other Fulton descendents. The Locke Family is also an important part of our family history, dating back to Captain John Locke & Family in 1644 at Rye, New Hampshire. We also know that through the Bullock - Wellman - Millard lines that we are related to Buffalo Bill Cody. From our family's perspective, Titusville, PA (Drake Well) and Buffalo, NY seem to have been points of convergence for the Fulton, Locke, Volkert and Stengel families. Other family groups with ties to the Fultons. Note: If you have trouble with the print size on this page being too small, go to your browser's View menu and set Text Size to Medium. Printing may be best done in landscape.